D&M Exclusive : Universal Orlando 4th Theme Park is Currently in Development With Code Name "Project 314"
I've got some great news for you to start the week, and to tell the truth, i had to wait until today April 2 to post it as i thought that if i had posted it yesterday April 1st you would have thought that it was an April Fools, when it's not! So, as you've read in the title it's all about Universal Studios Orlando 4th park - or 3rd theme park if you don't count the Volcano Bay water park - for which the code name so far is "Project 314". The infos below are coming from a faithful D&M reader who has a very reliable insider source and, as the infos that he sent to me previously were accurate, i believe that these new and major infos about Universal Orlando are right too. So, he's been told by his insider source that, for sure, "the 4th Universal park in Orlando is in development and its code name is "Project 314". I have no clue what Project 314 is but that is currently taking place and they are recruiting a ton of creative people to get this park started..."
Of course, personally i have also no clue what "Project 314" means, but if any of you does, you're welcome to let us know. However, we know a bit more about what lands are apparently planned to be built in this 4th park and he's been told that, first, the Super Nintendo World is going to be there, which is so far no big surprise and even logical. 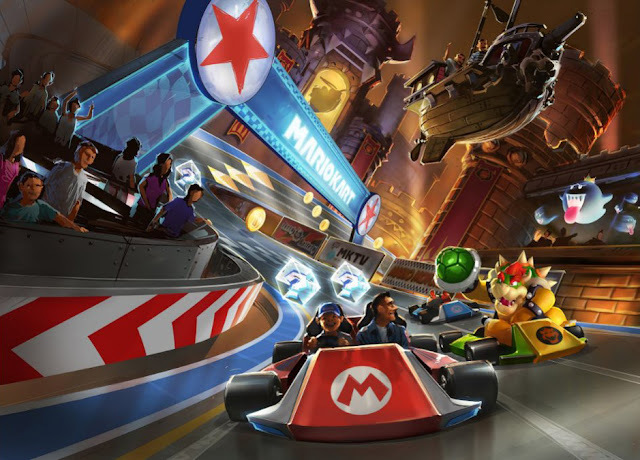 Digging deeper into Nintendo land there should be a Zelda ride, a Mario kart ride, a Donkey Kong roller coaster, and play areas. Also the center point will be Peach castle so it should be a major major land if done right. And apparently Universal is trying to add Pokémon too, as he's been told that there is talks to try to get Pokémon involved in the Nintendo land: "Pokémon is the biggest missed opportunity and I know people are working hard to include that somewhere down the line. It’s a brilliant idea." We'll see if Universal succeed. 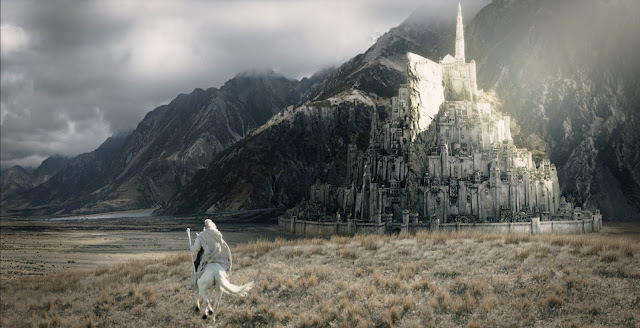 Two, he has also been told that a Lord of the Rings land is being highly considered for one of the lands of this 4th park. Remember that Universal was rumored to have bought the theme park rights for Lord of the Rings some years ago? Well, may be they've finally really got the rights. Three, the “Ministry of Magic” - from Harry Potter prequels "Fantastic Beasts and Where to Find Them" will also be one of the lands. 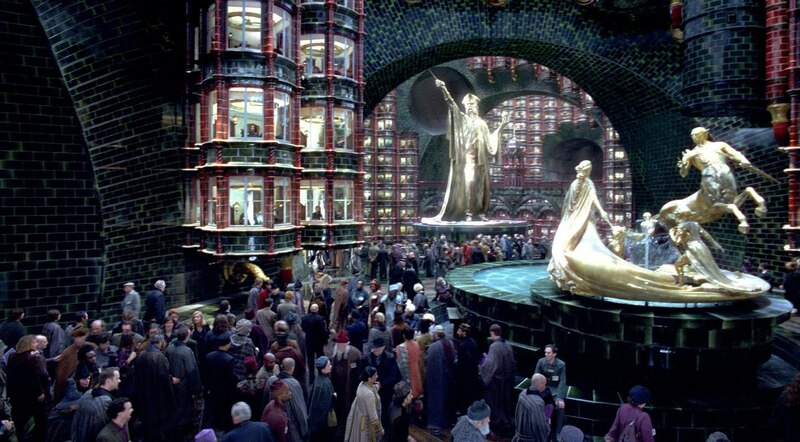 We can assume that Ministry of Magic will be a major land, and what is great with Ministry of Magic is that they'll have a choice of great decors for that land. You can see one in the picture below. There is more with, four, "a new Jurassic Park thrill ride.” I thought it was strange that they don't build it in Islands of Adventure where is the Jurassic Park land, except if they want to create a Jurassic WORLD in the new park, of course, but he's been told about this new ride that "it's being played with currently in reference the new Jurassic world movies. Also, guest research has been out asking guests what they expect from a Jurassic Park attraction and their feedback about the original ride. I agree that it wouldn’t make sense to have 2 lands with the same IP but I know the current ride will be getting upgrades at IOA." 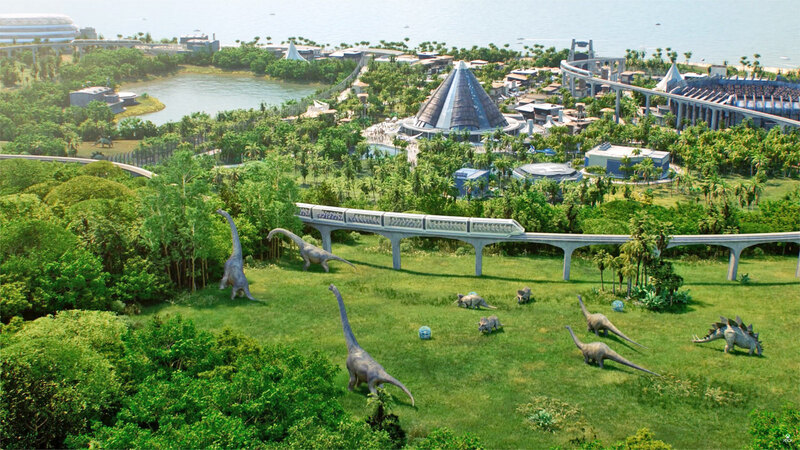 And when can we expect this fourth Universal Orlando park, you ask? Apparently Universal is in "full speed ahead" mode on the project, with managers being sent over to new positions to manage the project. It's always difficult to say a time frame, but he would expect it to be before 2023-2024. That’s a rough estimate as Universal always amaze us on how fast they can build... so, it could be sooner. 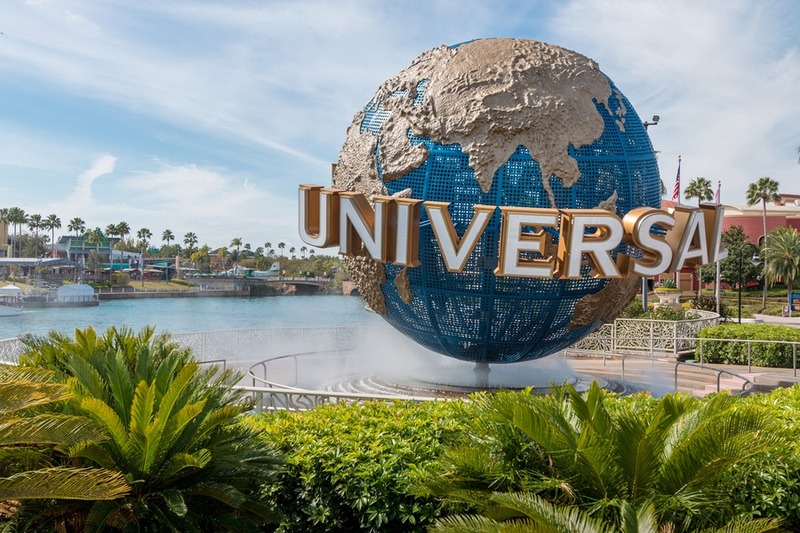 He was also told that it is why the hotel projects are so fast pace right now, so Universal Orlando will have enough hotels for the 4th park when it will open, because the hotels have to come first. If this 4th Universal Orlando park is built, even with "only"these four lands, it will be a clap of thunder in Orlando, and Disney will need as usual to counter attack, meaning that in a few years we'll be back to the situation that existed when the Harry Potter lands were so successful that Disney had to come with an answer, which they did with the Avatar and Star Wars lands. Well, that's all for today about this mysterious "Project 314" for a 4th Universal Orlando park. Of course take all this with a pinch of salt and consider it as "rumor" until an official announcement, but it's some pretty cool news to start the week, isn't it? I wouldn't be surprised. Universal bought a considerable amount of land off by Sand Lake Rd which immediately spelled EXPANSION. The other rumor swirling that Universal jumped ship from the Nintendo expansion originally for Universal Studios Florida to an actual new park. It would be a good counter to Star Wars and create a true competition against WDW's 4-day park appeal. I think 6 lands would be about great. I don't expect they'd put all the nintendo properties in one land, so with pokemon and zelda, that'd be 6 lands. Donkey kong would make thematic sense in a larger mario land, whilst the other 2 would fit better in their own smaller ones I'd of thought. Love this news! Thanks for the report. Let's keep our fingers crossed. I don't think it would be out of the realm of possibility that Nintendo IP's could be in two separate parks? (As is the case with Harry Potter). That would draw people who want to see Nintendo IP's to more than one park (buying a multi-park ticket). I wouldn't be surprised if we get some Nintendo stuff in USF first. The trick will be how to connect the transportation all the parks I think the only option is buses or underground train. Such informative and useful post everyone will liked . Thank you . I always try to find informative article where i know about new things, thanks for the info. Wonderful post. Great information share this post. All the photos you have shared is great. This was really helpful and gave me far more ideas. A strange concept that proved to be visually successful and impressive!